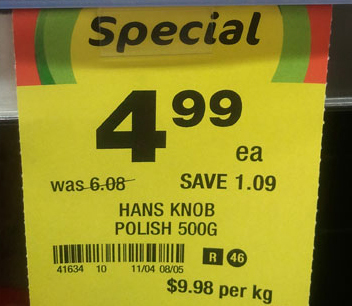 That is very cheap for knob in isn’t it? Although I have to say here that I’m no expert! Knob is not the sort of thing I would enjoy I expect and would prefer to leave it to the Polish and of course the Australians!